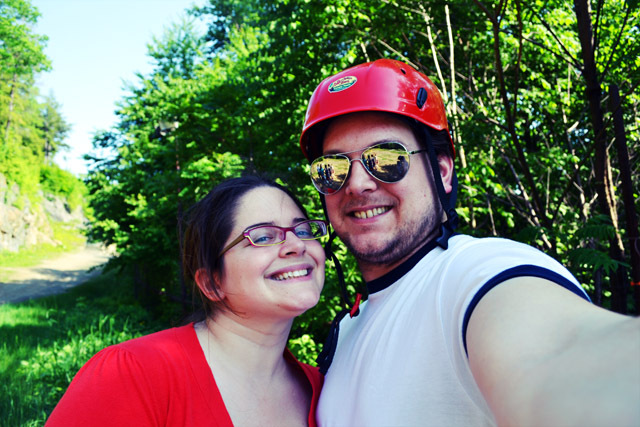 As a continuation to my post about the Bridge of Flowers and our May Surprise Date, I am sharing the rest of the afternoon adventure which took us zip lining through the trees in the Berkshires. 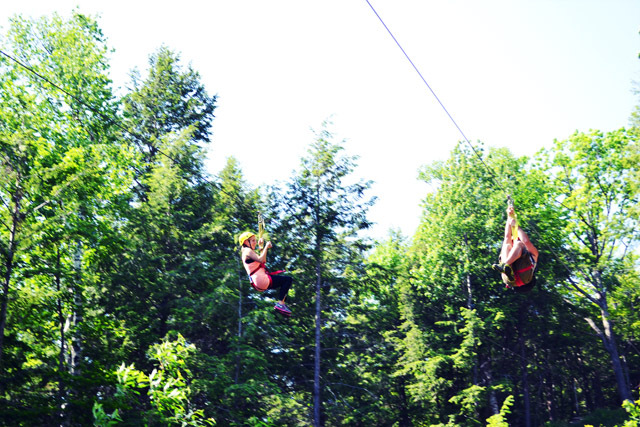 How did I pick that we would go zip lining for our May date? Well, in 3 short days we will be on a cruise heading up to Saint John, New Brunswick. And… Saint John has this pretty cool thing going in that it the rapids at the mouth of the Saint John’s River at the Bay of Fundy reverse direction. 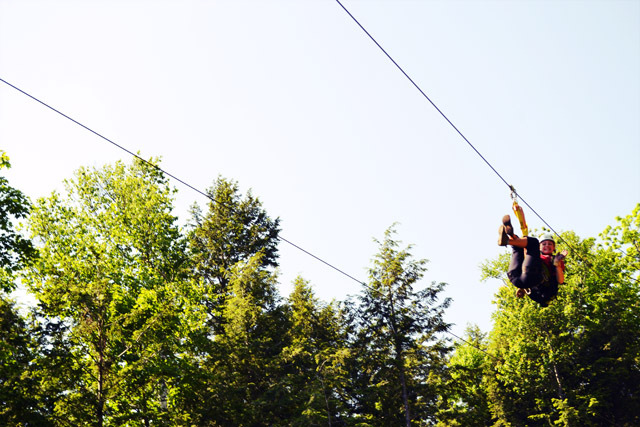 You can zip line over this bay and see this phenomena occurring. 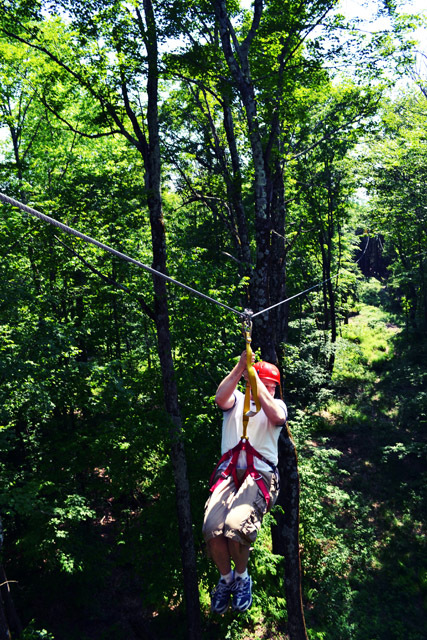 Since I figured that could scare the ever living bejesus out of us me it would be great to try zip lining before we go. I booked a tour at Berkshire East when I saw a Gilt City coupon. Regardless of the coupon their tours are affordable ranging from $30-100, I just jumped at that since we have a budget on our surprise dates. 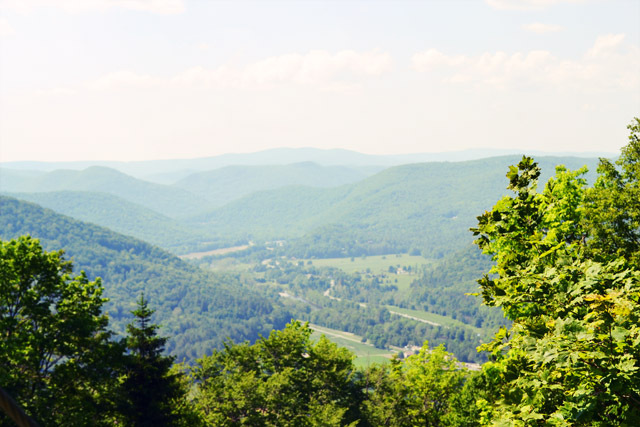 So at the end of May, in the midst of the chaos of moving, Price and I took a Sunday to spend the day out in the Berkshires. After getting stuck at the loooongest rail road crossing, we made it to Berkshire East to begin the adventure. 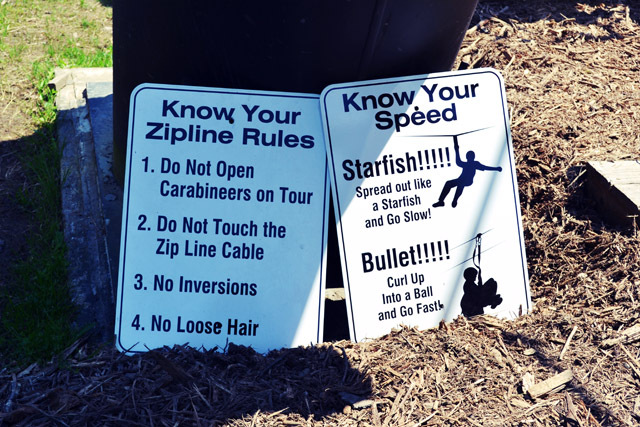 I signed us up for the Mountain Top Tour which has 7 zips that range from 250′ to 800′ in length. 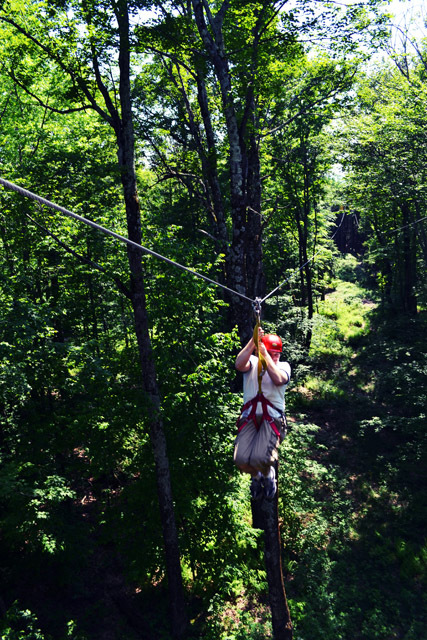 The highest platform is 45′ in the air in the canopy and at times you zip 100′ off the ground. 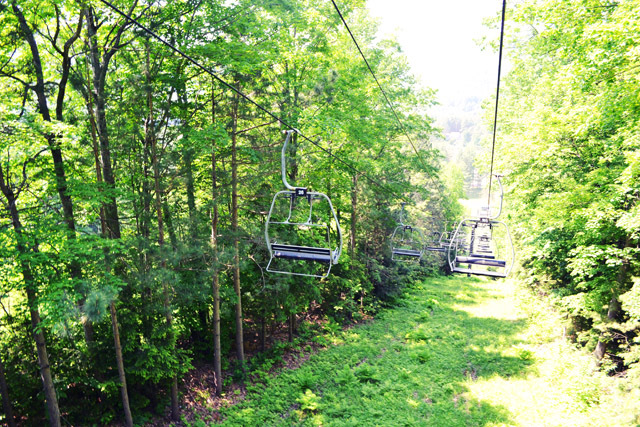 You get to relax before and after the zips on the ski lifts that take you up/down the mountain. 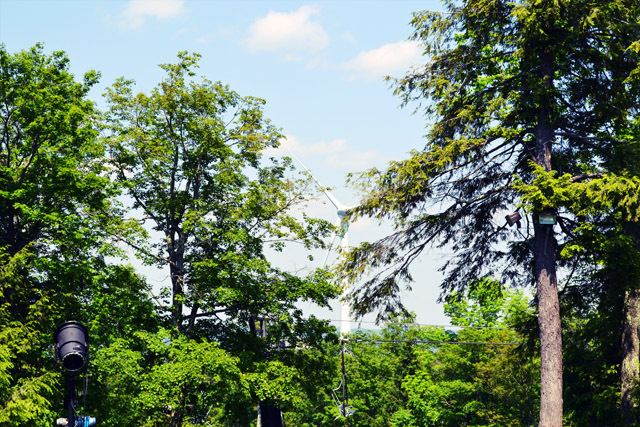 Berkshire East has a wind turbine that generates 2.2 million kWh of electricity each year, providing 100% of the power for their facility. They even have tours of it a few times a year where you learn about the 3 year process in getting it installed and its production of sustainable energy. 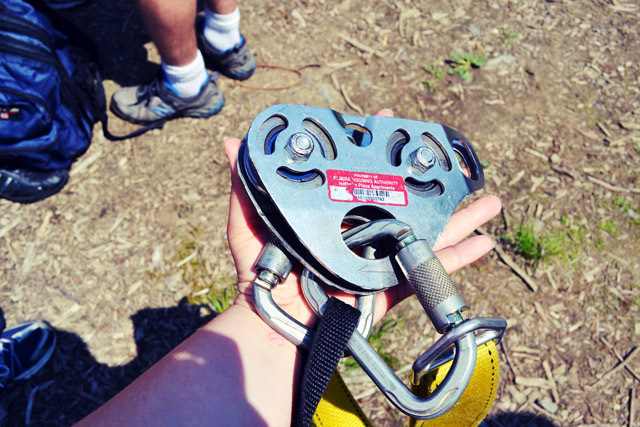 One of our awesome guides as he was first demonstrating how to zip, the gear set up, and the lines. 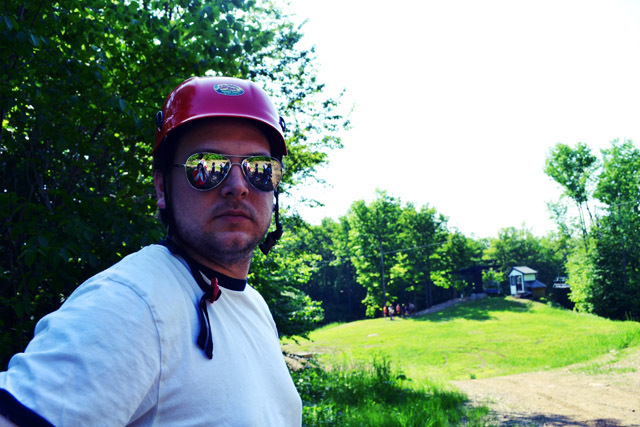 After he zoomed over to the first line our tour adventure began! Price went off backwards. I think this was the highest platform at 45′. yikes! 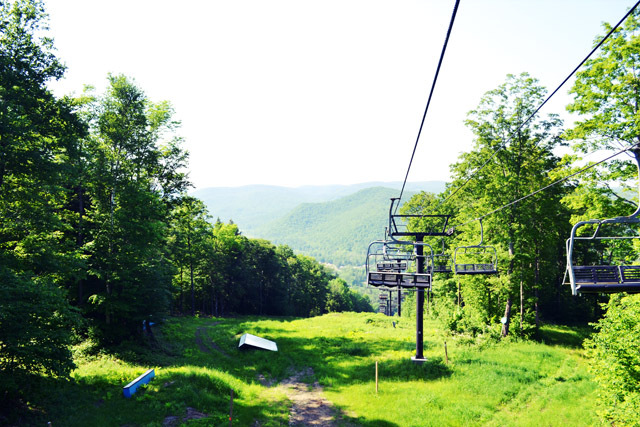 We took a moment to wait to see some other zip liners go across the valley on Extreme Zip 1, aka X1. 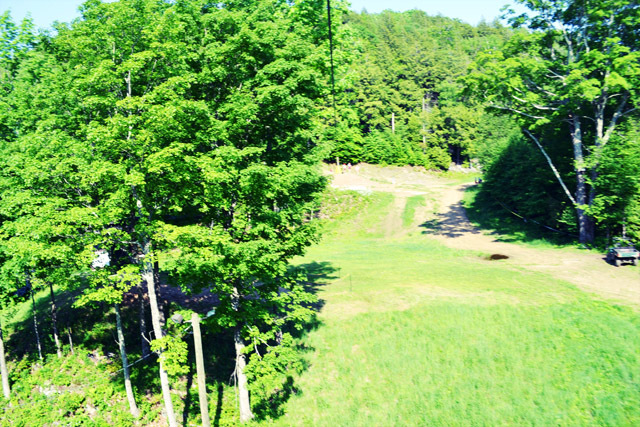 This is 2300′ long zip isn’t even the longest zip in the Valley Jump Tour. I imagine this would be incredibly scary (!!) and beautiful to do in the fall. 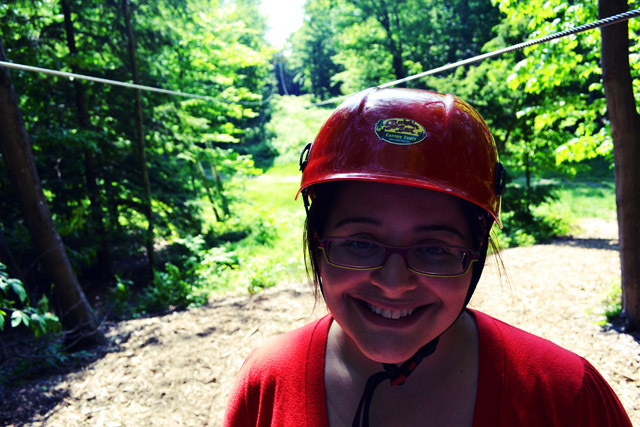 I actually took this photo mid zip line on the last zip! And back down the mountain we go. 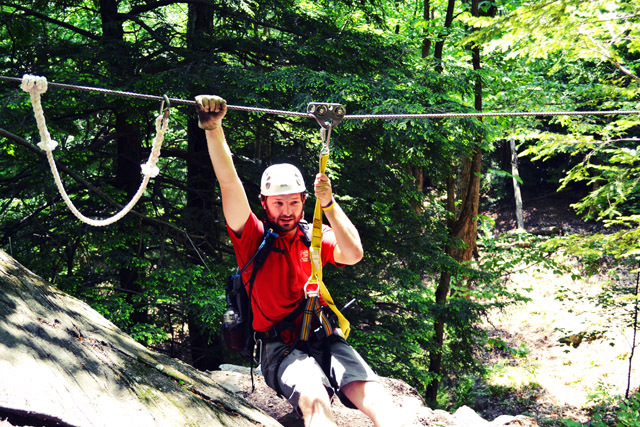 I highly recommend zip lining with Berkshire East and this tour to everyone. It was such a blast. We loved it. It was thrilling and the views were the icing on the cake. 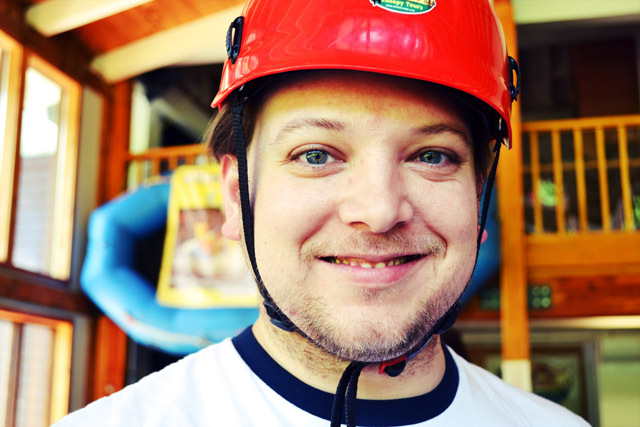 The guides were very skilled and took safety and fun very seriously. 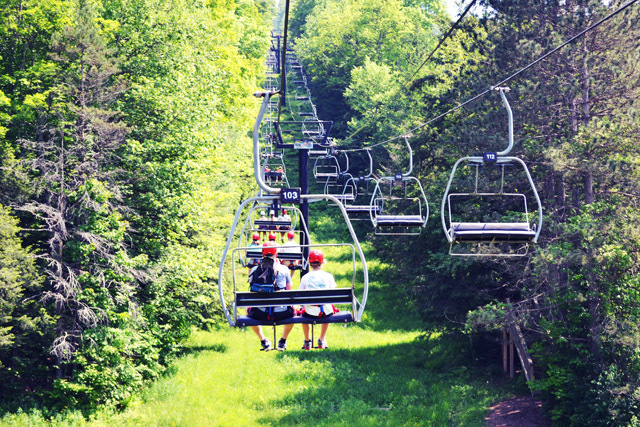 We are already discussing our next zip to see the fall foliage! I haven’t been on a hipline since I was little. Miss it! Yeah, I would freeze up there. 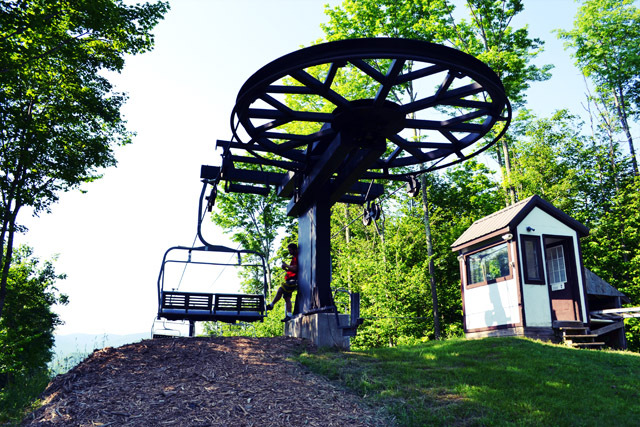 I won’t even go on a ski lift…haha. So fun! I can’t wait until the boys are old enough to do things like this! I look like a mountain man with my beard!